Surfside Sisters offer Affordable Luxury! units that offered little to no privacy! shower. Watch for the surprise night light in both baths when you enter the room! The kitchen has Corian counter tops, oak cabinetry and sleek black appliances. and a CD stereo system. There is a cozy breakfast area off the kitchen that seats four and a great dining room set surrounded by tastefully mirrored walls that also seats 4. Latest update: New cabinets, countertops, sinks and faceuts in both baths! We know you'll love staying in either of our Surfside homes. 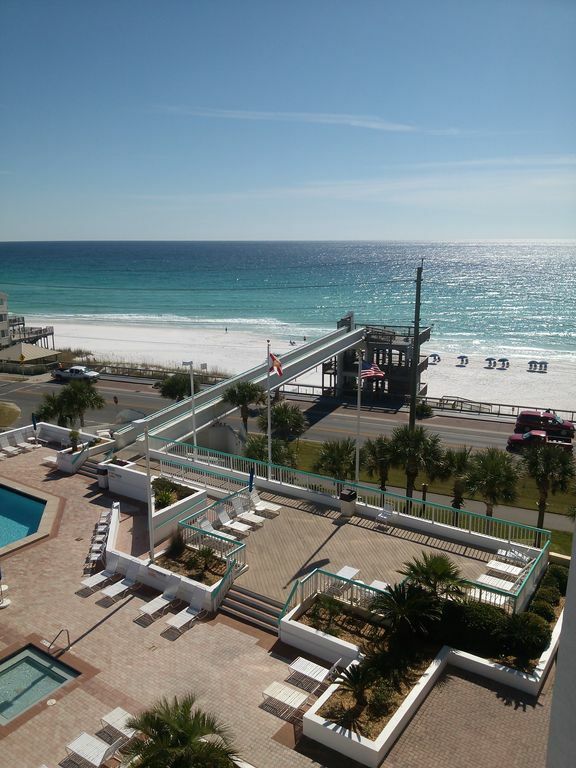 IF YOU WISH TO RESERVE THIS VACATION CONDO, PLEASE CONTACT THE OWNERS EITHER BY EMAIL OR PHONE FIRST. Just bring yourself, some clothes and maybe those golf clubs, tennis rackets, or basketballs because everything else you need is here. All linens are provided and the kitchen has all the dinnerware, glassware, utensils, cookware you could need. Appliances include refrigerator, microwave, dishwasher, stove, toaster, blender, coffee pot. and ice/water through the refrigerator door. Our air-conditioned 1062 square foot unit also has phones with voice-mail service. Sorry...no smoking, no pets and Surfside regulations restrict us from renting to anyone under the age of 25. Surfside offers an extreme amount of amenties...heated pool, kiddie pool, two hot tubs, mens/ladies showers and saunas, sun bathing deck overlooking the ocean, sports deck with tennis, basketball and volleyball courts, exercise room, BBQ area with picnic tables, interior hallways, some covered parking. Enjoy our on-site restaurant, Rick's Crab Trap. There's even a Tiki Bars by the pool and beach. We also include free beach service for two with our unit. fishing, and more. Not much that isn't here!